“This aspirant sector of the market is a key driver of South Africa’s residential property market, solidly underpinning activity, particularly in metropolitan hubs which increasingly draw a younger generation of home buyers wanting accommodation close to the workplace. Harry Nicolaides, Century 21 CEO, reckons “it could serve as a catalyst for consumers who wish to sell their property below R900 000 who then go on to buy more expensive properties. Bruce Swain, MD of Leapfrog Property Group applauds both Minister Gordhan and Minister Sisulu for appealing to home owners, especially in the lower end of the property market, to hold on to their homes for longer. “A house is an asset that can be used to generate real wealth – not just by eventually selling it for a good price, but to by using it as collateral to fund a child’s education for example. This is responsible advice that ought to be applied by all South African home owners”. Gerhard Kotze, MD of the RealNet estate agency group, says: “The change will lower the amount of cash that first-time buyers need to cover a deposit plus transaction costs, and that will definitely make it easier for them to acquire their own homes sooner rather than later. Dr Golding also welcomes the increased investment in infrastructure and transport networks as well as in integrated urban development projects and township precincts, as this helps provide a catalyst for growth in the housing market. “However, the hefty increase in fuel taxes is of concern as this will create an inflationary ripple effect across the economy. The 39c a litre hike, comprising an additional 30c in the fuel levy and 9c in the RAF levy, will mainly hurt the pockets of lower and middle income citizens, who are already contending with everrising electricity and water tariffs as well as property rates and food prices. “Despite the constrained economic outlook and the message by the Minister of fiscal prudence, the South African property market outlook for 2017 is cautiously optimistic, with steady or stable house price growth, relatively low interest rates, favourable inflation outlook and careful confidence by lenders. The relaxation in the transfer duty rates will therefore act as further stimulus for the property market,” concludes Nicolaides. Herschel Jawitz CEO of Jawitz Properties notes that the increase in the withholding tax on non-residents’ disposal of property from 5% to 7.5% would have little impact on the demand for property by non-residents. “The overall budget is as expected with very little tax income tax relief and a higher tax burden for high income earners with the introduction of a new marginal tax rate of 45% above R1.5 million and a significant increase in dividend withholding tax by 33% to 20%.” adds Jawitz. We always knew that this was a budget that was set to bring a higher tax burden, especially for the wealthy and tougher times for consumers on the whole as Treasury needed to find an extra R28bn in a shrinking economy, says Samuel Seeff, chairman of the Seeff property group. 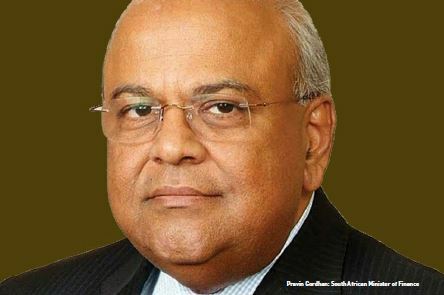 Under the circumstances, we see Finance Minister, Pravin Gordhan’s budget as reasonable, save perhaps for concerns around the growing tax burden for the wealthy, says Seeff. The minister’s more positive economic outlook is welcome news. Insofar as the property market is concerned, the raising of the threshold for transfer duty exemption from R750 000 to R900 000 effective from the 1st March is the most positive and welcome outcome. It will certainly enable more first time home buyers to get onto the property ladder. That said, the cost of home ownership remains high with home owners burdened with rising property taxes, sectional title levies and ever-higher basic utility costs. We are pleased that there has been no further hike in transfer duty for the higher price brackets as was the case last year. That said, while the increase in taxation of the wealthy in the form of a new top marginal bracket (45% for annual earnings of R1.5m-plus) and higher dividend tax (up from 15% to 20%) may unfortunately be necessary, we are concerned at the growing burden at the top end. Globally, we have seen that burdening wealthy citizens with higher tax does not create more government income, but tends to have the opposite effect. These are generally your entrepreneurs, business owners, captains of industry and job creators. Higher taxes are likely to see more wealth leaving the country. It may potentially also take the liquidity out of the top end of the property market. As we have seen over the last year, the higher transfer duty and Capital Gains Tax impacted sales negatively. The negative sentiment also meant that despite a weak rand, fewer foreigners bought property despite the fact that we welcomed record numbers of foreign visitors over the summer, says Seeff. Tax payers also need to see a government that is firmer on cutting corruption and wasteful expenditure. That surely may well alleviate the need for these tax hikes, he adds. We need a more positive outlook and economic growth. That will broaden the tax base and generate more income for government. As we have said before, we need a good economy to kick-start the property market. Nonetheless, we remain upbeat that the market should hold up well for the time being. It continues to be business as usual and hopefully the higher exemption threshold will boost demand from first time buyers. Issued by Seeff PR Consultant, Gina Meintjes, telephone 079 886 4802/021 481 1044, email: [email protected] or visit www.seeff.com.